Gerry is a Festival Patron (with Marion Fleetwood) and is one of the most exciting performers in the Country. His band has performed at Festivals all over the Country, including Cropredy. This year alone, has seen them at The New Forest Folk Festival, Wickham Festival and A New Day Festival in Kent. 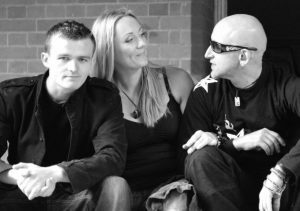 Alongside Gerry, the band consists of Trish Power, Jerome Davis and Lindon Webb. They last appeared here in 2016. Individually they have worked with the likes of the Righteous Brothers, Shel Silverstein, Mary Hopkin, Strawbs and Nancy Griffith. Now they are front of stage playing their own brand of acoustic guitar-based material. A Cathryn Craig & Brian Willoughby show will have you tapping your feet, joining in with the chorouses, enjoying their stories and being in awe of Cathryn’s great singing and Brian’s inventive guitar playing. Their “Alices Song” was an Aled Jones ‘highlight of the year’ on BBC Radio 2. In April 2017 they were nominated in Folking.com’s Best Duo category. Navaro are a trio of UK singer songwriters who consider their strength to be in their differences. Born in different decades, offering diverse influences, styles and voices the three say they are never happier than when uniting on each others’ songs. Navaro have played at numerous venues, festivals and folk clubs over the years (including Banbury Folk Club in 2018). 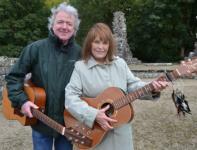 They have also enjoyed support slots for Fairport Convention, Little Johnny England, Colin Blunstone and James Grant. Expect a set showcasing tracks from Under Diamond Skies (2008) and Heartlands (2012) plus one or two from their forthcoming album, So Long Wichita.